Chris Voss is a former top FBI Hostage Negotiator teaches field-tested tools for talking anyone into (or out of) just about anything. Chris Voss was a member of the New York City Joint Terrorism Task Force from 1986 to 2000 and is the best-selling book, Never Split the DIfference: Negotiating As If Your Life Depended On It. Former top FBI Hostage Negotiator teaches field-tested tools for talking anyone into (or out of) just about anything. 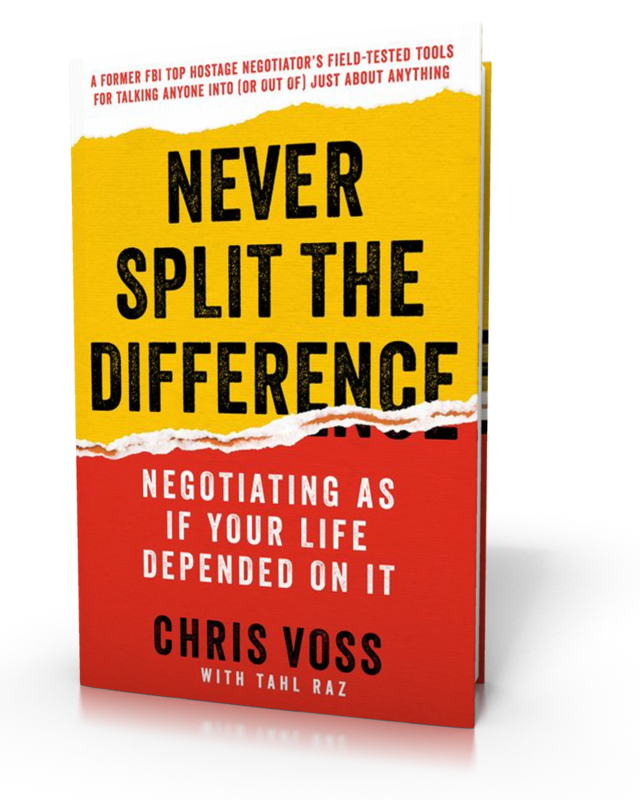 Chris Voss was a member of the New York City Joint Terrorism Task Force from 1986 to 2000 and is the best-selling book, Never Split the DIfference: Negotiating As If Your Life Depended On It.